Today, I started as a participant on Daily Burn 365. This means two to three times a week, I’m in their 9:00 AM live streaming workout videos and I’m following a nutrition plan. Anyway, I’m fat. It’s been a tough year with mom going into a nursing home, career flux, and the dog being hit by a car. Those are excuses though, everyone is always having a tough year. Why do we even go on? I have not done any significant exercise since 2014. I’ve been working out regularly since I was 18 – I’m 45 now – and I just stopped. Boom. Sloth. I’ll update Steintrek as I progress. I’m doing this not just for the free workouts but also because, for me, Daily Burn 365 is a sustainable program. It’s all about doing what you can. “Ten or 15 minutes is better than nothing,” was said a lot this morning. Because I like to cook and eat everything, the nutrition plan won’t change my life too much, no restrictions except for garbage. I’ll still eat fruit, veggies, meat, fish, dairy, legumes, and whole grains including bread and pasta. Just less than my normal bucket full. No one has really mentioned alcohol yet so I won’t bring it up. I’ll just assume they rather I drink vodka with soda instead of beer. Shhh. Look for me this week during tomorrow’s and Friday’s workout at 9 AM Eastern. You can watch on demand the rest of the day if you can’t wake up by 9 AM. 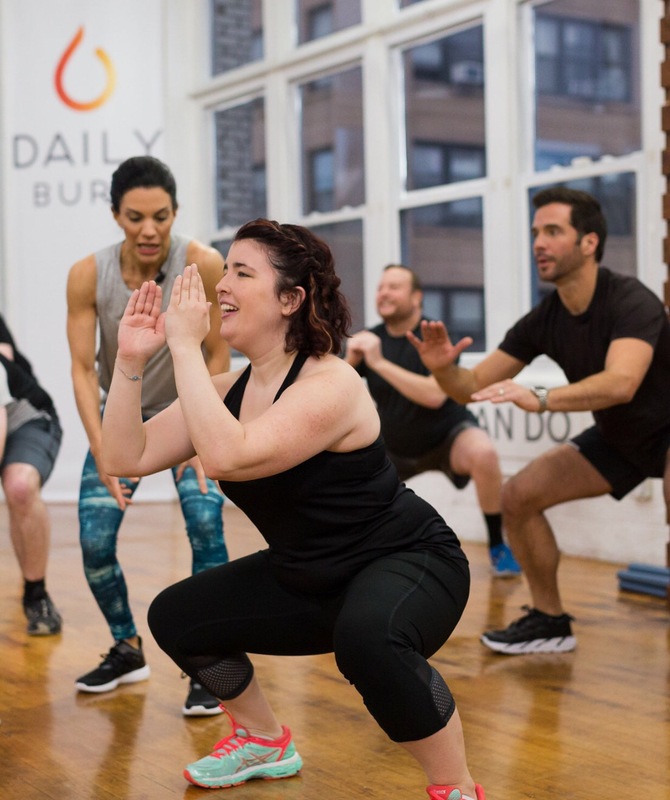 Photo courtesy of Daily Burn 365: I’m the fuzzy guy in back squatting for my life.